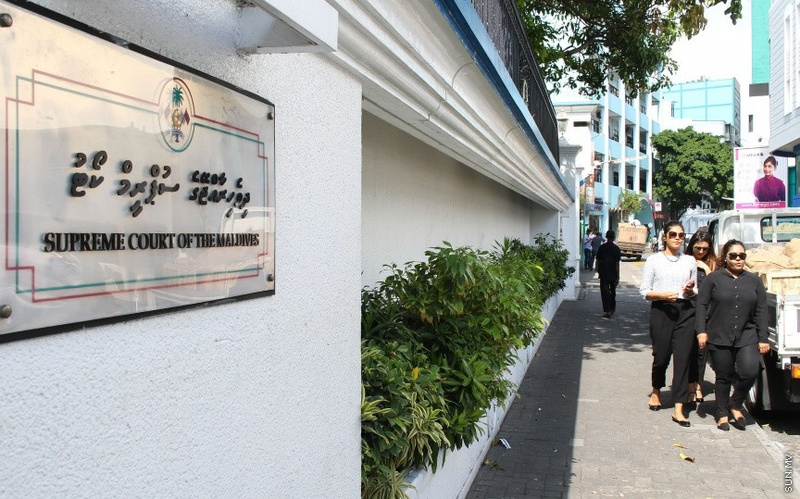 Supreme Court has concluded its hearings following the procedural motion filed by the State requesting the repeal of the court’s order on February 1 to reinstate 12 lawmakers, and is scheduled to issue its verdict in the case. Commencing this Thursday’s hearing, Chief Justice Dr. Ahmed Abdulla Didi said the hearing was a procedural matter to address the change in the Supreme Court bench. When the motion was filed, Supreme Court had only three judges; Dr. Didi, Abdulla Areef and Adam Mohamed Abdulla. Two more judges have now been added to the bench; Abdulla Didi and Abdul Ghanee Mohamed. SC said in its order on February 1 that when the court had ruled to disqualify the MPs for floor crossing, the relevant laws had not been passed. And that the Elections Commission’s decision to disqualify the MPs and bar them from the People’s Majlis could affect national interest. The People’s Majlis passed the Anti-Defection Act after February 1. The SC had approved the law, but did not specifically say whether the 12 MPs are disqualified or not.